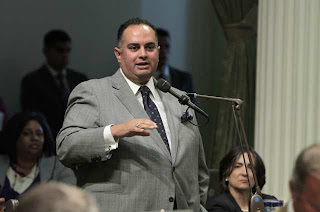 Pictured is Assembly Speaker John A. Pérez (D - Los Angeles). Click on the image for an article discussing a possible "deal" made between the Speaker and a Republican Member of the Assembly. As reported, the "deal," if there is one, could "be the end of CEQA as we know it," according to David Petit, a senior attorney with the Natural Resources Defense Council, or NRDC. CEQA is the "California Environmental Quality Act," which is California's strongest environmental law. CEQA requires governmental agencies that are considering actions that "might" have a significant environmental impact to undertake an analysis of the proposed action, to make sure that all potential environmental impacts are identified. Once such impacts are identified, CEQA then requires the governmental agency to eliminate or mitigate each identified impact to the maximum extent feasible. Governor Brown, once thought to be an environmentalist, has recently been quoted as saying that "I've never seen a CEQA exemption that I don't like." 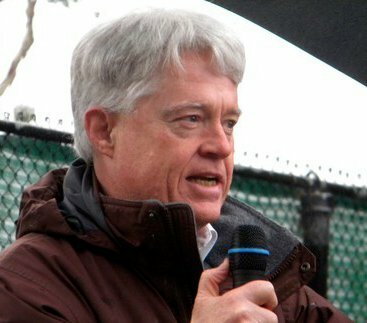 If a bill that eviscerates CEQA reaches the Governor's desk, there is a pretty fair chance that he will sign it. CEQA recognizes that our human civilization (and all of our construction projects) are ultimately dependent on the natural environment. We can exempt our actions from CEQA, in other words, but we can't exempt them from the laws of Nature. The whole point of CEQA is to make sure that we don't try!